The University of New Mexico Alumni Association has announced the recipients of its 2017 Lobo, Zia and Inspirational Young Alumnus awards. The recipients will be honored at the Alumni Association’s All University Breakfast, during Homecoming week, on Saturday, Sept. 30 in the La Ventana Room at Embassy Suites. The public is invited to attend the breakfast which starts at 9 a.m. Tickets are $25 per person and reservations are required. The Lobo Award honors a UNM graduate distinguished by professional achievement or dedication to the betterment of the University. The Zia Award honors outstanding alumni who make their home in New Mexico and the Inspirational Young Alumnus Award honors emerging leaders, age 40 or below, in community service or professional achievements. 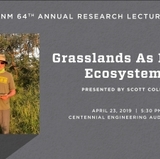 Jack Fortner grew up in Farmington, enrolling at UNM in August of l973. He graduated from the University with a bachelor’s degree in political science and minor in psychology in 1978. In 1981, Fortner graduated from The University of Michigan School of Law and returned to Albuquerque joining the Law firm of Sutin, Thayer & Brown. In l983, he moved to Farmington where Fortner continues to practice law in addition to sitting on many community boards and the San Juan County Commission. Fortner also served on the UNM Board of Regents from 1998 to 2016. 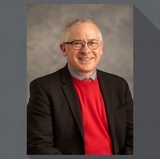 He was President of the Board of Regents in 2005 and from 2011 to 2015. Amy Boule is a double alumna of UNM, graduating with a bachelor's degree in chemistry and a master's in business administration. Boule worked as a hospital clinical chemist for 15 years before working at UNM Hospital—where she worked for 24 years as a hospital administrator. Following retirement from UNMH, Amy worked as the director of operations at the New Mexico Office of the Medical Investigator for six years until her final retirement at the end of 2014. Amy served for six years on the UNM Alumni Association Board of Directors and volunteered to lead many committees for the Association. Larry Larranaga received a bachelor’s of science and master’s of science in civil engineering from The University of New Mexico. He was a partner in the Bohannan Huston Consulting Engineering firm for 15 years. Larranaga also served as Deputy Chief Administrative Officer and Public Works Director for the City of Albuquerque for three years and served as Cabinet Secretary of Highways for the State of New Mexico for five years after working for the New Mexico Highway Department for 15 years. Larranaga has served on numerous boards and commissions appointed by presidents, governors, mayors, county commissioners and universities. L. Ray Nunley graduated from the UNM College of Pharmacy in 1962. He led a distinguished career as a pharmacist and as a public servant, including serving as Mayor of Ruidoso. Nunley opened and operated Nunley Drug in Ruidoso from 1966 to 1982, and then spent the most of the rest of his career as a Walmart pharmacist. He was named Walmart's Regional Pharmacist of the Year in 1994, 1998, and 2003. He retired from Walmart at the end of 2014. Nunley was named the 2015 UNM College of Pharmacy Distinguished Alumnus, the highest honor the College of Pharmacy bestows. In 2010, Governor Susanna Martinez, appointed Nunley to serve as a professional member of the New Mexico Board of Pharmacy where he served until 2013. Roy Solomon graduated from UNM in 1989. A lifelong athlete who has completed six full Ironman triathlons, has run in the Boston Marathon twice and completed the New York City Marathon, Solomon is proud of his time as a member of the ski team at the University of New Mexico. While still a student at University of New Mexico, he bought a bar near the state fairgrounds, that property – which he operated as Friar’s Pub – led to a series of other food and drink ventures including The Hungry Bear and Sunset Grille in the 1980s and, more recently, 505 Southwestern Chile Products and Bailey’s on the Beach. Solomon is the founder and developer of Green Jeans Farmery in Albuquerque. Elisabeth Valenzuela is a proud triple alumna of UNM’s College of Education. She started her teaching career as a bilingual teacher at La Mesa Elementary School and worked for Albuquerque Public Schools for 13 years. Since leaving APS, she was the first principal at the Dorn Charter Community School and Education Administrator at the Public Education Department, Bilingual Multicultural Education Bureau. Valenzuela has taught various education courses at UNM, NM Highlands University, and Northern New Mexico College. In Valenzuela’s current position as the principal at Bernalillo Elementary School, she works within a very diverse Indigenous community – 22 percent of the student population comes from 12 of the 19 pueblos or tribes within the state. A 1988 Deming High School graduate, Vickie Wilcox attended George Washington University in Washington, D.C., before graduating from The University of New Mexico School of Law in 1995. Her Master of Laws in Taxation is from New York University. She returned to New Mexico in 1996, and has since represented clients across the state with a primary focus on estate and business planning, and charitable giving. She has served on the Board of the Albuquerque Community Foundation and the Albuquerque Bar Association, and is the founder of the Independent Community Foundation, Inc. Wilcox now serves on the board of The University of New Mexico Anderson School of Management Foundation and was a past adjunct professor at University of New Mexico School of Law. Megan Fitzpatrick received her bachelor’s degree from UNM in 2008 and worked to become a Doctor of Medicine in 2014 from the UNM School of Medicine. While a student at UNM, she founded and ran an organization dedicated to public health outreach implementation through partnerships with nongovernmental organizations (NGOs) in El Salvador. In medical school, she learned to use data to identify patterns and investigate causes of malnutrition, typhoid fever, and the supply and demand side economics of antenatal care in Kenya and Uganda through the Centers for Disease Control and Prevention’s Hubert Global Health Fellowship. This year, Fitzpatrick completed the Fogarty Global Health Equity Fellowship where she had the chance to create and implement a cervical cancer public health pathology project in Zimbabwe. To RSVP and purchase tickets for the All University Breakfast, visit the UNM Alumni Association website or call the Alumni office at 505-277-5808. 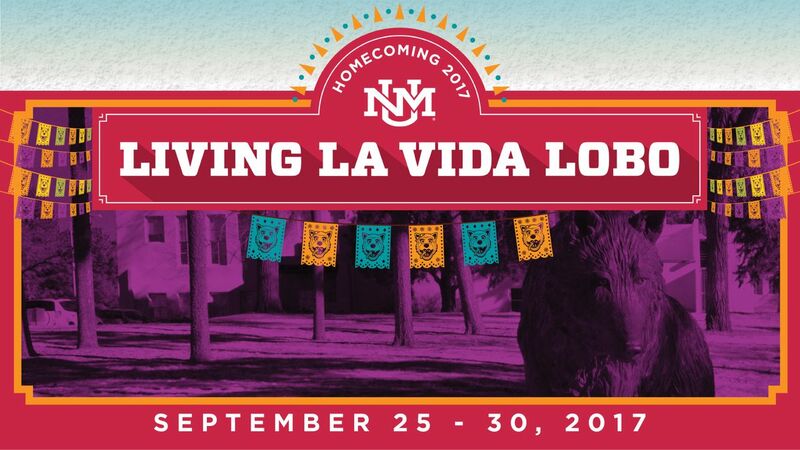 UNM Homecoming 2017 Living la Vida Lobo activities extend from Monday, Sept. 25 to Saturday, Sept. 30. With more than 50 events on the calendar during Homecoming Week 2017, there will be an event, lecture series, reunion, open house or tailgate opportunity to fit everyone’s interests. A full schedule of events can be found by visiting the UNM Alumni Association website.